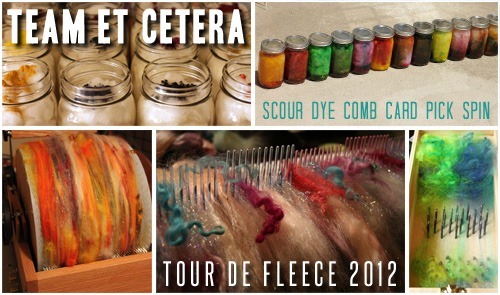 Slowly but surely I’m getting all my raw fleeces washed and dyed in preparation for Tour de Fleece. As much as I’d like to card & spin it all myself, that seems awfully selfish so I put several 4 ounce batches up for sale in the shop. More to come as time and drying-rack-space allows. Some of you may have gotten a glimpse of this yarn at DFW Fiber Fest, but in case you didn’t, I’d like you to meet the newest yarn in the Gritty Knits line: Smug. Smug is a soft, smooth blend of silk & merino wool. This yarn is a dream to knit with, perfect for projects calling for dk or light worsted weight. Want to try some? Everyone who makes a purchase from Gritty Knits in the month of June will be entered to win a ball of Smug in the color of their choice!